Dawn light and gentle rain welcome me to the day. Leaving Melaka I filter through single-minded school-day traffic near the cluster of colleges just east of Dutch Square. 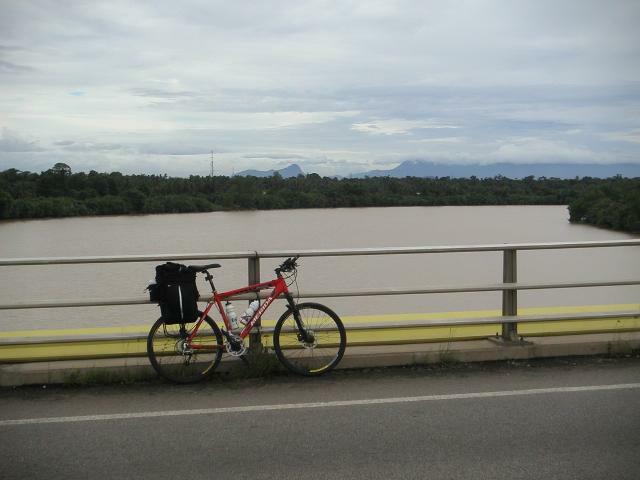 I reach the city outskirts soon after and — with the rain eased — settle into a steady rhythm and pace along the coast road towards Muar. 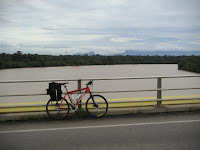 After a few hours I stop at a roadside stall for nasi lemak and teh tarik (hot sweet tea), then continue on, bypassing Muar on the road that partly rings the town to its north and east. By mid-afternoon, after another stop for a rest and drink, I'm back in Batu Pahat and find a room for the night at Hotel Novo Park.